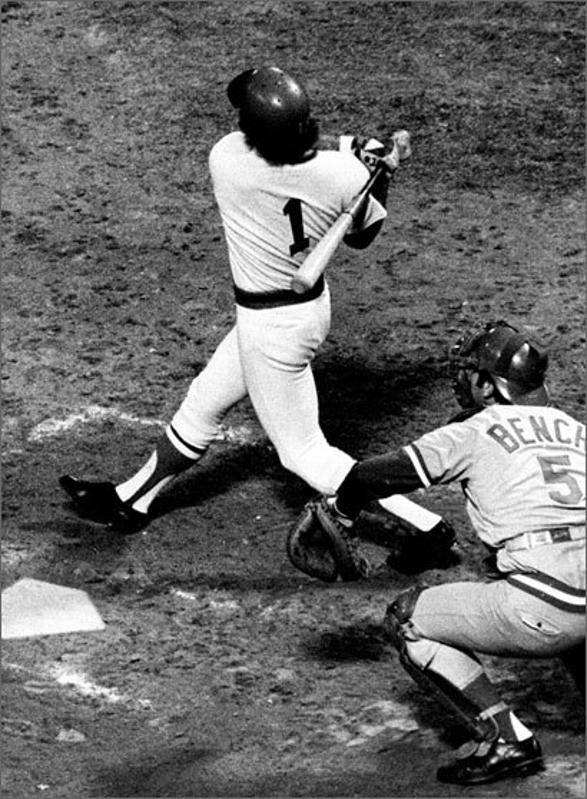 In Game 6 of the 1975 World Series, with two outs in the eighth inning, Bernie Carbo stepped to the plate to pinch hit against Cincinnati Reds pitcher Rawly Eastwick. With two strikes, Carbo cranked a three-run home run to tie the game 6-6, leading to Carlton Fisk's extra-inning walk-off home run in the 12th inning. Carbo now admits he was high on drugs at the time of his famous blast. "I probably smoked two joints, drank about three or four beers, got to the ballpark took some Dexedrine and Benzedrine (amphetamines), took a pain pill, drank a cup of coffee, chewed some tobacco, had a cigarette and got up to the plate and hit," he said.